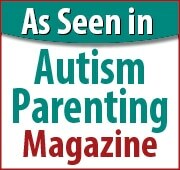 How Will Your Autistic Child Look as an Adult? You may feel frustrated right now that your child is not hitting the milestones that you see other children reaching. Will my child ever sleep through the night? Will my child ever speak? Will my child make connections with other peers? Rest assured that your child will not be the same down the road as he/she is today. Age two is vastly different from age 12 and age 12 is very different from 24. We all grow and change with maturity and autism does not prevent a child from developing and changing over time; they simply may not do it as quickly as a neurotypical child. Autism involves several developmental delays; delay does not mean it will not happen but simply not on the “normal” developmental time frame. Developmental delays in verbal communication can be especially frustrating. The National Center of Birth Defects and Developmental Disabilities states that 25 to 30 percent of children diagnosed with autism will speak some words by 12 to 18 months. However, those children may have a diminished capacity for, or lose the ability altogether, to communicate verbally. Nearly 40 percent of children diagnosed will never be able to speak at all. The remaining percentage of children may be able to communicate verbally at a much later age. Keep in mind that verbal challenges seen at age 3 will look very different at age 15 and will also look very different as an adult. Connecting socially is also important and we want our children to connect with peers. Children with autism often times do not have the social skills to make connections and developmental delays can compound the problem. Children with autism are often socially and emotionally at a much younger age than their peers. At a young age this divide can be huge but as they age this gap gets smaller. Be patient, being in the “waiting room” is never easy but continue to relish your child’s victories and continue to encourage and support them. Attention Deficit Hyperactivity Disorder (ADHD) is one of the most common childhood neurobiological disorders. The Centers for Disease Control and Prevention (CDC) reported that as of July 2015, close to 6 million, American children between the ages of 4 and 17 have been diagnosed with ADHD at some point in their lifetimes. Symptoms of ADHD include: aggression, excitability, fidgeting, hyperactivity, impulsivity, irritability, lack of restraint, or persistent repetition of words or actions. Stimulant drugs like Adderall are addictive and using them recreationally may increase the chances of developing a psychological and physical dependence on them. Long term use of Adderall may also include physical damage to the brain and internal organs. Adderall increases the levels of certain neurotransmitters in the brain, but what if there was a way to do that naturally without any harmful side effects? Cognition Focus works by providing the key precursors that are involved in memory and cognitive processes. They cross the blood brain barrier and produce the neurotransmitters that are vital in this process. The major ingredients in Cognition Focus are L-glutamic acid which is a major neurotransmitter that provides fuel for the brain and stimulates mental alertness and memory. It also contains choline bitartrate and N-acetyl L-carnitine which are able to cross the blood brain barrier and work at the level of the neural synapse. Calm Focus works by providing the key precursors that are involved in the sleep process. Calm Focus also helps to combat the effects of oxidative stress which is an imbalance between the production of free radicals and the ability of the body to detoxify their harmful effects. Using Cognition Focus during the day and Calm Focus at night provides a synergistic balance between the sympathetic (fight or flight) and the parasympathetic nervous system (rest and digest), allowing you to stay focused and calm for a productive day. Most children and adults find that paying attention can be hard work at times. For children with autism spectrum disorder (ASD), it can be a big challenge. Paying attention uses particular networks in the brain and it is a skill that can be improved and developed over time. To pay attention effectively, we need to be alert, so that we can filter distractions from important information within our surroundings. Children with autism quite often also have a diagnosis of attention deficit hyperactivity disorder (ADHD) which further compounds the difficulty of keeping on task. Keeping focus and attention is critical for school age children as it is expected that they sit for extended periods of time and listen to the teacher. With preparation your child can make the most of their classroom time. So what can you do to best prepare your child for success in the classroom? A child will have difficulty sustaining attention on a task if they are too over stimulated. Allowing additional time prior to school for your child to engage in physical activities that they enjoy such as riding their bike or jumping on a trampoline will help them to respond appropriately to a more sedentary task. Discreet finger and foot fidget tools are also helpful. A noisy, over-stimulating place will simply add to the distractions. Find a quiet place for homework and study and build in “break” time dependent upon your child’s attention span and age. Try and set a goal for longer “focus” times. If your body needs sleep you will not be able to focus and learn. Sleep quality has a profound impact on learning and memory. Research suggests that sleep helps learning and memory in two distinct ways. A sleep-deprived person cannot focus attention optimally and therefore cannot learn efficiently. Additionally, sleep itself has a role in the consolidation of memory, which is essential for learning new information. Several studies show that nutritional status can directly affect mental capacity among school-aged children. For example, deficiencies in iron, thiamine, vitamin E, vitamin B, iodine, and zinc, are shown to inhibit cognitive abilities and mental concentration. Additionally, amino acid supplementation can improve perception, intuition, and reasoning. Several studies also demonstrate that improvements in nutrient intake can influence the cognitive ability and intelligence levels of school-aged children. As many children with autism have limited diets, dietary deficiencies are not uncommon. Cognition Focus and Calm Focus support healthy sleep and concentration, both of which are needed for success in the classroom. Cognition Focus stimulates the sympathetic nervous system which is involved in learning and memory. Calm Focus stimulates the parasympathetic nervous system which initiates sleep. Cognition Focus and Calm Focus also provide the nutrients that are often found to be deficient in autistic children, and are needed for your child to reach their maximum potential. Focus Formulations was formed to provide a safe and natural alternative to treat neurodevelopmental conditions. We provide nutritional supplements to meet the needs of a broad spectrum of nutritional health challenges. ©2016-17 Focus Formulations, Inc. All Rights Reserved.